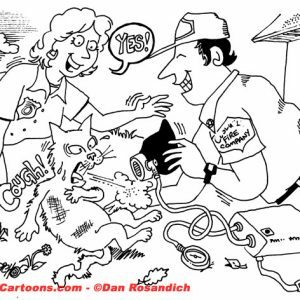 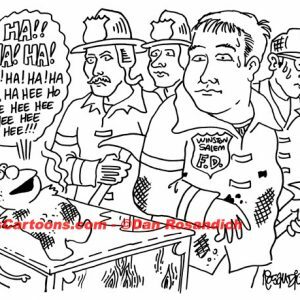 Firefighter cartoons are ideal for reprint in books, newsletters, magazines, brochures and print ads. 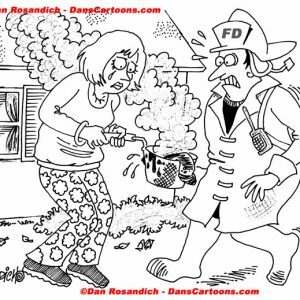 Cartoons pertaining to firefighting and emergencies are also available for use in digital as well and are a great addition to any Facebook page or web page. 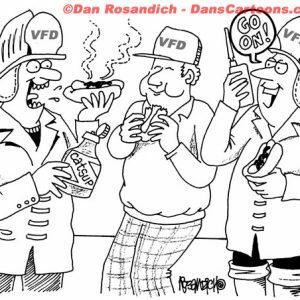 Cartoons are also available for use in firefighting related materials such as calendars and posters, including promotional items such as used on coffee mugs. 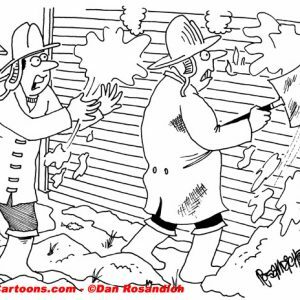 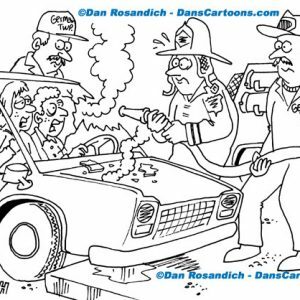 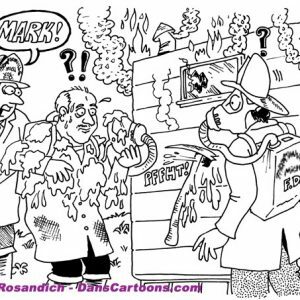 Firefighting cartoon humor can also be used as a tool in any related consulting services such as committee meetings and association meeting or other gatherings where using a cartoon or cartoons within a powerpoint may assist in conveying an idea or emphasizing a certain topic. 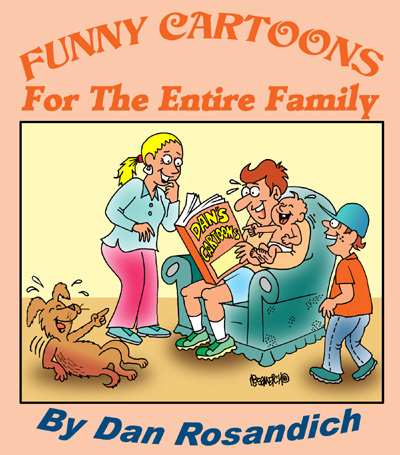 These kinds of cartoons are ideal for books. 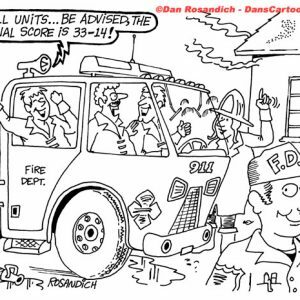 Other uses for comics relating to the field of firefighting include newsletter usage and magazines. 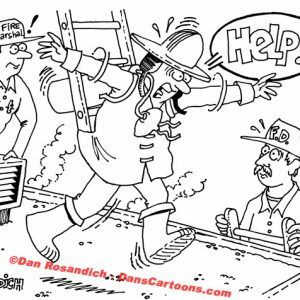 Consultants in the field of public safety can also use these kinds of cartoons in their web pages or for use in social media like a Facebook page.